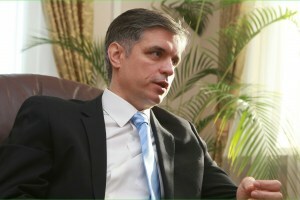 Ukraine's Deputy Foreign Minister Vasyl Bodnar received copies of credentials from newly appointed Ambassador of Croatia to Ukraine Anica Djamic, the press service of the Ukrainian Foreign Ministry has reported. 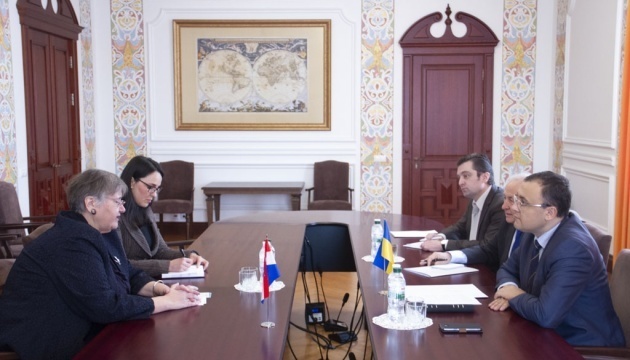 "During the meeting, the interlocutors discussed bilateral political dialogue between Ukraine and Croatia, expressed willingness to strengthen the dynamics of and intensification of cooperation in trade, economy, cultural and humanitarian spheres," the statement reads. 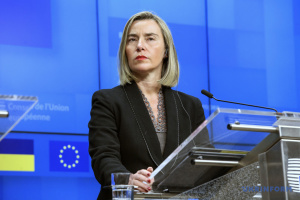 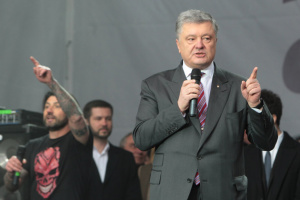 Special attention was paid to the issue of the treatment in Croatia of wounded soldiers of Ukraine and rehabilitation of the children who suffered from Russian aggression against Ukraine.